Today his ideas run through art, fashion, film and architecture – but what makes the 20th-century sculptor so influential? 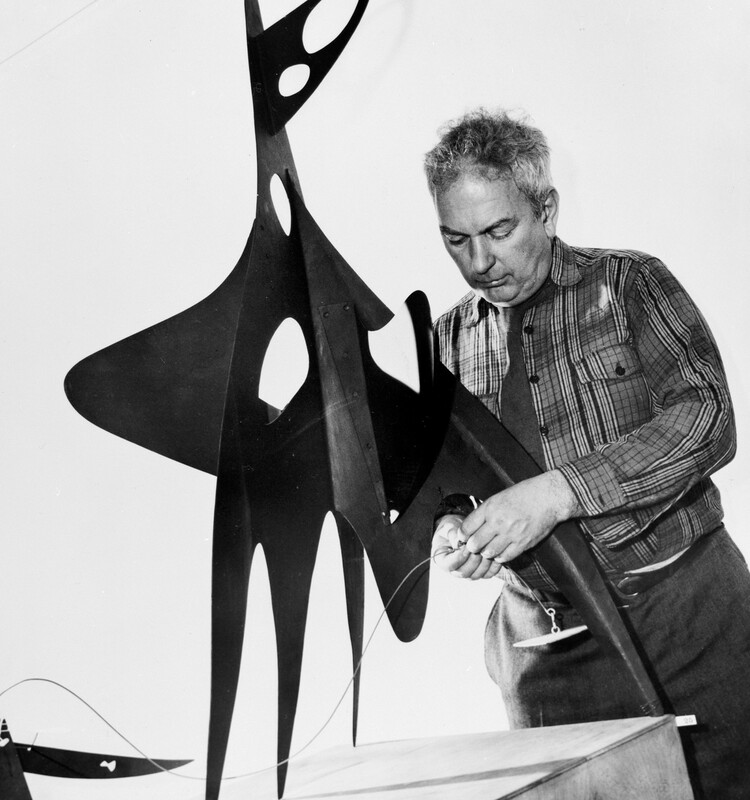 Although widely regarded as one of the most influential sculptors of the 20th century, and one of America’s most important Surrealists, Alexander Calder did not consider himself an abstract artist. 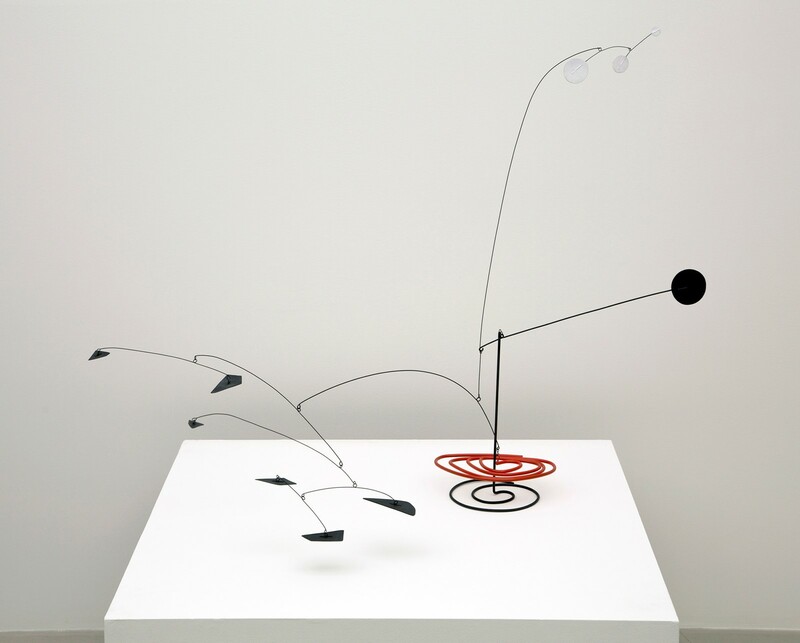 When pressed on this matter in an interview, Calder explained that his penchant for kinetic art and other-worldly forms was his interpretation of what the universe might look like, and was therefore Realism. It is then perhaps fitting that, more than a century since his birth in 1898 (nobody is really sure whether he was born in July or August of that year), his signature mobiles and “staybiles” have transcended the art world to become staple influences for everyone from interior designers and architects to graphic artists and jewellery designers. Enchanting art-lovers globally, and currently piercing the serene landscape of Hauser & Wirth’s rural Somerset home, Calder’s wiry portraits, ethereal mobiles and imposing outdoor installations tell the story of a life lived observing the world through the optimistic eyes of a wonderstruck child. While his love of of bold colour, simple shapes and asymmetrical choreography appears infantile, his fascination with suspension and balance reflects the intrinsic struggle for equilibrium synonymous with the Surrealist movement of the 1920s and 30s. 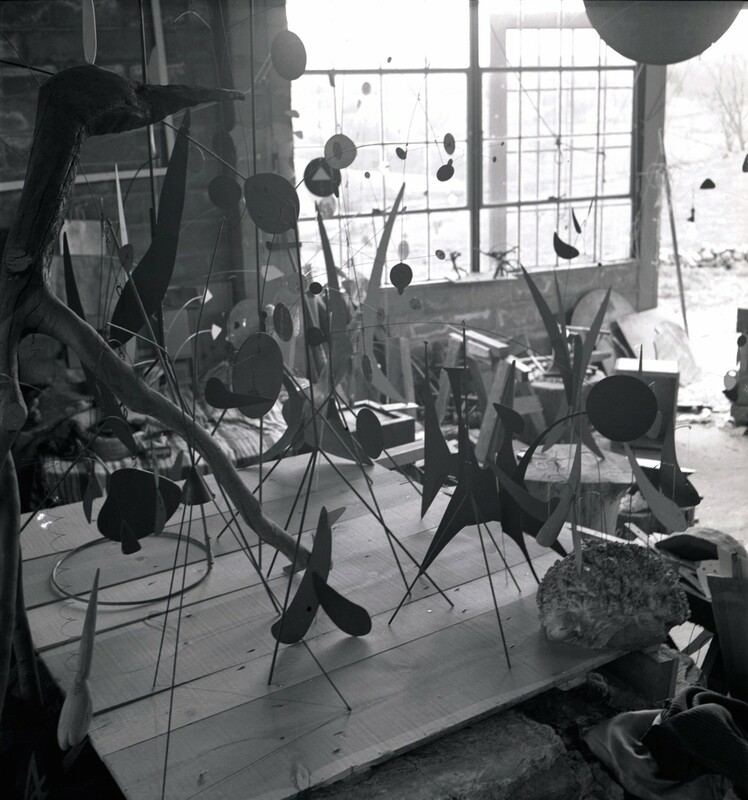 Juxtaposing the often precariously balanced construction of his pieces, Calder’s pendulous sculptures were quickly adopted by architects and style-conscious homeowners as visual centrepieces for enhancing vast atriums and to bring a sense of play to the increasingly popular Modernist abodes of the 1950s. Clearly recognising a shared appreciation for cross-disciplinary vision, architect du jour Gio Ponti included an oversized black Calder mobile in his 1955 Caracas project Villa Planchart. Peggy Guggenheim was also a fan of the sculptor’s work, and in many portraits can be seen posing alongside one of his pieces, almost as if it were a partner to her in a moment of solitude. 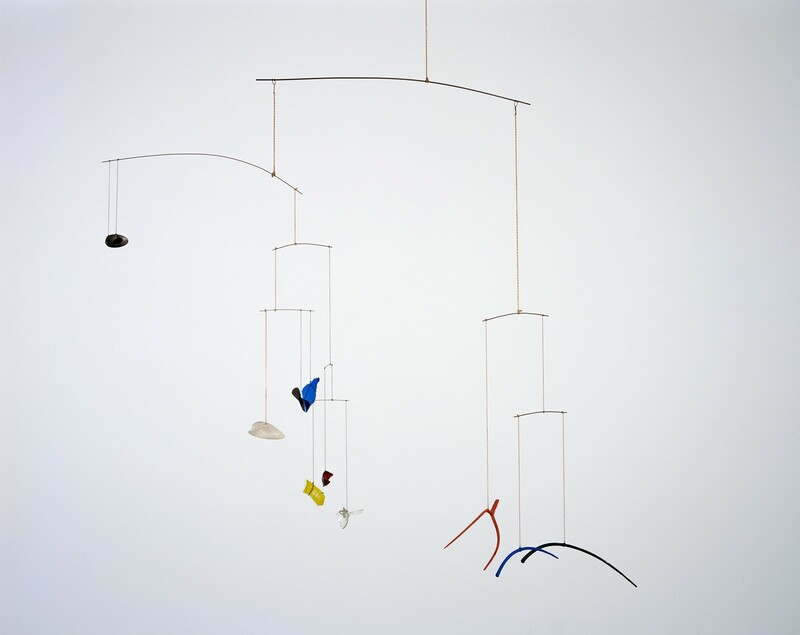 For California and New York’s glamorous elite, soaring above the realms of realism, Calder’s poetic interpretation of everyday environments was an escape from the status quo. This respite from mundanity is perhaps what continues to see design and fashion professionals take inspiration from his unique portfolio. Lending itself to jewellery design in particular, the sculptor’s love of movement and abstraction can be recognised in recent offerings by Céline, among others. 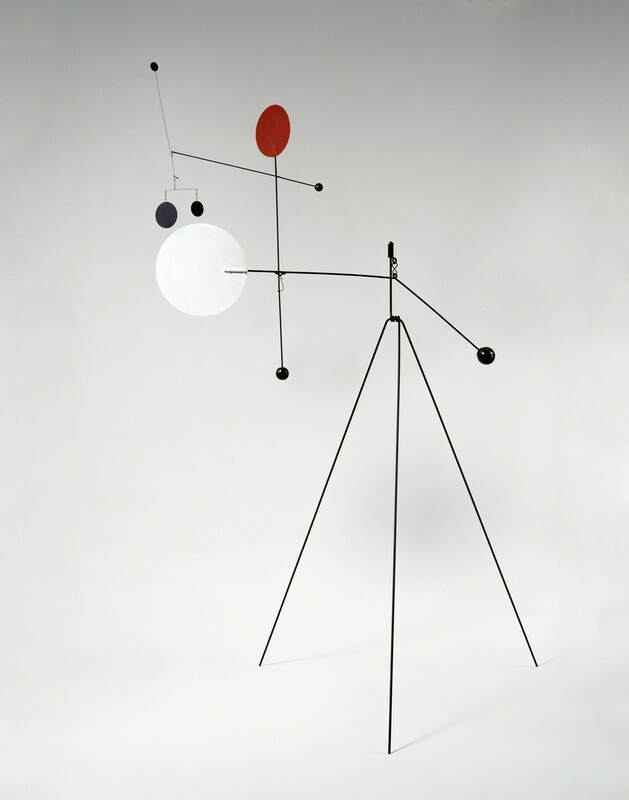 Calder’s enduring popularity might be attributed to his relentless sense of grounding, in spite of his outlandish and oversized style. As demonstrated in From the Stony River to the Sky at Hauser & Wirth, the artist was enamoured with occasion and theatre and took any opportunity to add an air of pantomime or performance to everyday life. The personal projects and possessions exhibited (many for the first time) demonstrate the breadth of his imagination and the complete lack of contextual constraint attached to his motivation. Having already moved to Paris in 1926, where he was inspired by the circus and its acrobats, Calder was travelling by boat to New York in June 1929 when he met Louisa James. The pair married in 1931 and in 1933 bought a farm in Roxbury, Connecticut. 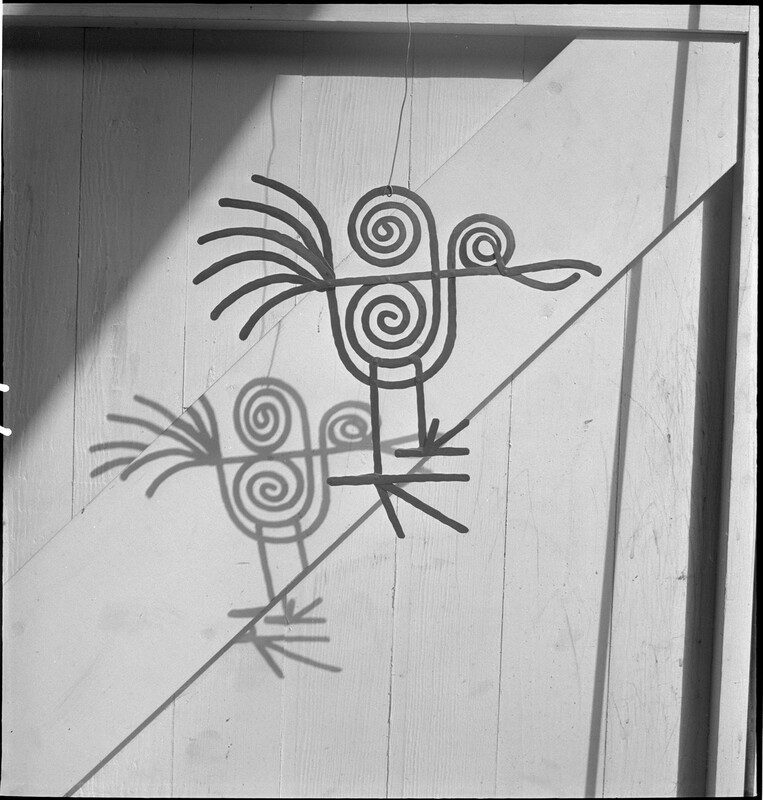 It was this house that the artist filled with domestic creations that would’ve looked more at home in a gallery than a kitchen, yet were much used and loved and are now cared for by the Calder Foundation, whose president is Calder’s own grandson, Alexander S. C. Rower. It was also this home that inspired the artist to explore outdoor sculpture for the first time, in 1934. The land belonging to the farm provided him with a private playground fertile with potential. 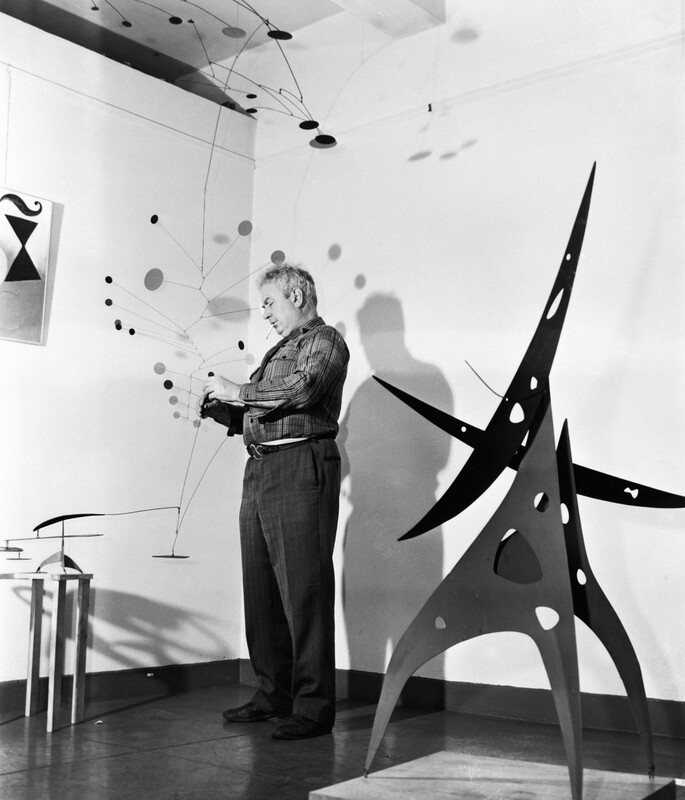 There is an accessibility to appreciating Calder’s work that doesn’t condescend or exclude those new to the world of art. The artist’s honesty about his own vision and sources of inspiration has allowed for an unpretentious enjoyment of colour, shape and movement that is often reserved for children. When speculating on the catalyst for and longevity of his influence on contemporary culture, perhaps it could be said that Calder’s work is a gentle nudge – not unlike the encouragement between parent and child – tempting us to find joy in movement and simplicity, adding play to the everyday. Alexander Calder, From the Stony River to the Sky runs until September 9, 2018 at Hauser & Wirth Somerset.